The Mach-Gaensslen Foundation was first incorporated in Canada in 1998. 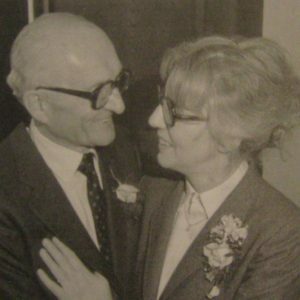 The Foundation honours the lives of Vaclav F. Mach and Dr. Hanni Mach-Gaensslen. Mr. Mach was born in the Czech Republic in 1917 where his family owned a textile fabrication business. Following the second world war, Mr. Mach emigrated to Switzerland and later lived in Canada and the United States as well as keeping a home base in Switzerland. He was highly regarded in his field of expertise, working primarily as a consultant to the global textile business. Dr. Hanni Gaensslen was born in Switzerland in 1926 and, after extensive specialty training, practiced medicine as an internal medicine, neurology, and psychiatric specialist. Vaclav and Hanni were married in Canada in 1981 and were active in their respective professions as well as a number of international non-governmental charitable organizations. Dr. Gaensslen died in the year 2000, and Mr. Mach in 2001. Prior to their deaths, the Machs had set up twin Foundations, in Canada and Switzerland, to manage the assets of their estates. The Foundations are devoted to encouraging research and education in cardiology, oncology, and psychiatry. The Mach-Gaensslen Foundation of Canada has, since 2005, provided grants of approximately $5,000 per student recipient at thirteen Canadian medical schools. This has enabled these students to conduct summer medical research in the three areas of medicine that the Foundation is able to fund based on the Machs’ requests. End of October – A call for potential supervisors is sent to all NOSM faculty members and interested faculty are asked to submit a short description of their current research projects. Mid December – Application packages, listing potential supervisors and research project information, are sent to all NOSM medical students. Students are encouraged to contact the faculty member (from the list of potential supervisors) whose research project is of interest to them. Together, the medical student and faculty member are responsible for completing the application. Mid February – Application deadline. The Research Office reviews applications. Mid March – Awards are announced. Note: In order to be selected for a Mach-Gaesslen Award, projects must be in the field of cardiology, oncology or psychiatry. As a long-term objective, the Mach-Gaensslen Foundation of Canada is interested in knowing whether involvement in summer research, while a medical student, will influence career choice or lead to research later in a student’s professional life. To receive funding for a summer’s research, a student is asked to participate in a prospective study for the balance of their careers. On completion of their summer projects students are encouraged to present their research at the Northern Health Research Conference, an annual event which highlights research and researchers from Northern Ontario. Contact research@nosm.ca for more information.